What is the general difference between Hot Fix and No Hot Fix Rhinestones? What are the benefits of using Hot Fix Rhinestones? When to use Hot Fix rather than No Hot Fix Rhinestones? What are the Basic Hot Fix Application Principals? What other Swarovski products besides rhinestones can be applied by Hot Fix application? How to apply Hot Fix Rhinestones? What Application protocol does Swarovski recommend for each type of Hot Fix product and the material it is being applied to? What are the most common Hot Fix application tools? Can you add glue to Hot Fix Rhinestones? No Hot Fix Rhinestones are the more common and traditional type of rhinestones. There is usually foiling on the back of the stone. (Although sometimes the stones are unfoiled which is more common in opaque colors but also sometimes in transparent colors as well thereby leaving the stone transparent.) When applied, these rhinestones are usually adhered to a material by adding glue to the back of the stone or set into a tiffany or rim setting. Hot Fix stones have a heat activated glue already adhered to a foiled or unfoiled back. To apply these stones, the glue must be activated by heat and then applied to an appropriate material. The Swarovski Hot Fix glue is extremely strong, and when applied properly, it will not come off. That is the caveat, when applied properly. Click to see The Basic Hot Fix Principals and How To Apply How Fix Rhinestones to understand how to make sure the rhinestones are applied properly. 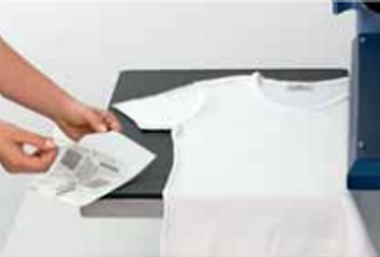 When applied properly, they are machine washable, dry cleanable and wear and tear durable. You will be hard pressed to be able to pull the stone off. The bond is THAT tight! In many instances, it might just be easier to use Hot Fix Rhinestones. When applying a large number of rhinestones or rhinestones in a specific pattern (especially if you are using the same pattern over and over again), then combination of using Hot Fix Rhinestones and choosing the appropriate application method, will likely save you a lot of time and in many cases your sanity. When the glue is already adhered to the rhinestones, you do not need to test out which glue to use or messing with applying the glue to the stone. It is a lot simpler when the glue is already there; just heat and apply! *A “Water Drop Test” is the best way to test to see if a material is porous. Apply a couple of small drops of water onto the material. If it is quickly absorbed, then it is porous. If it rolls off the material or if it takes a long time to be absorbed, then it is not porous. The reason that the material has to be porous is because the glue has to be able to be absorbed into the material itself to exercise a strong hold. Once you have determined that your desired material is appropriate for Hot Fix, ask yourself a practical question - Do I have the correct tools to apply the Hot Fix stones to this product? For example, if you are planning to apply Hot Fix Rhinestones to a shoe, you cannot put it in a Hot Fix machine or if you want to apply it to a mug you can’t use an iron. Click here to see the most popular Hot Fix application methods and tools. If you don’t have the appropriate tools and you choose not to get the necessary tools, it may just be easier to use no Hot Fix Rhinestones and add your own glue. Temperature. The Swarovski Hot Fix glue is heat activated. This means it not only needs heat, but it needs the correct amount, and enough heat to adhere properly. Different fabrics will require different temperatures. For example, a heavy denim may require more time than a light cotton (but this will also be dependent on the amount of pressure and time you use, see Principal #2 and Principal #3 for more information). Time. 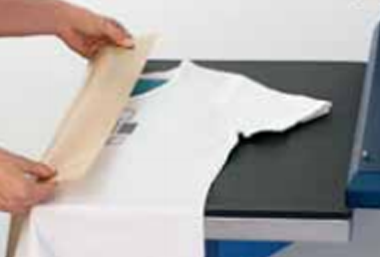 You must allow enough time for the glue to heat up and then to adhere to the material. The thicker the material the longer the time you will likely have to spend applying the stone. But again, this is dependent on the temperature and the pressure used. Pressure. In order for the rhinestones to adhere, the correct pressure must be used in conjunction with the correct temperature and time. Not too hard and not too soft. Too soft and it won’t stick, too hard and you may experience glue oozing out from the sides (and affect the material itself - think suede!). You also need to make sure that there is no space between the heat and the stone if the material is not on a flat surface. For example, if there are any buttons, zippers or other raised parts, make sure the pressure is adequately reaching the rhinestones. Application Side. Hot Fix stones can be applied with the bottom of the stone facing the heat or with the top (the crystal part) facing the heat. For basic rhinestone application, either method will work, but if you choose to apply the heat through the top of the stone (not directly on the glue), you may want to consider adding increased time, pressure and temperature. If using this method, the heat needs to literally pass through the crystal in order to heat up the glue. TEST! TEST! TEST! This is the most basic and fundamental Principal. Before you start any project always test Hot Fix stones on the material. Then make sure you get your recipe right! Think of the other 4 Principals, time, pressure and temperature, as a cooking recipe. It takes the right combination to work. Remember, sometimes, you just need a tad more salt for it to taste right! In general there is an inverse relation between time and temperature when applying Hot Fix Rhinestones. The higher the temperature, the less time required, and the lower the temperature the more time required. Please keep in mind that this is a general rule, pressure and application side will play an important role. By far, the most popular Swarovski product for Hot Fix application is the Swarovski Rhinestone. The most popular styles are the basic rhinestones 2038 and 2078. But all the other Swarovski Hot Fix Rhinestones are also regularly used. In addition to Swarovski Rhinestones, Swarovski has a number of other products that come in Hot Fix. 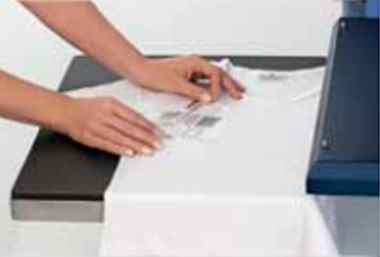 Transfers: Transfers are a predesigned design utilizing Swarovski Rhinestones, pearls and/or nail heads. The Hot Fix Rhinestones are attached to a sticky carrier material that you “peel and stick” and then apply the heat. Create your own or choose one of Swarovski’s stock designs. Crystal Fabric: Swarovski Crystal Fabric is a fabric-like carrier material that consists of tiny little crystals. The material feels rubber-like and is very flexible. It can be used in strips or in a predesigned motif. Transparent or Black material with different color stone options are available. Crystaltex: Swarovski Crystaltex is a plastic-like hardened carrier material with Swarovski stones set into the material. Crystaltex is available in strips or in a custom design. Different background colors and stone sizes are available. Crystal Rocks: Swarovski Crystal Rocks is comprised of double sided chatons set onto a carrier material. It is 3-dimensional in nature and available in different color options. Crystal Mesh: Swarovski Crystal Mesh is made of flexible metal mesh set with Swarovski chatons. It is available by the metered row in a large range of color options. To order or inquire about any of the above products, please contact us at sales@harmanbeads.com to place a special order. There are many things to learn when starting to work with Hot Fix Rhinestones. The easiest way to learn how to work with the stone properly is to use the Swarovski Application Manual – Hot Fix Application Section as a guide. This will take you through each of the application methods and trouble shooting. If you still have any questions, please contact our office directly at 1-800-BEADS-NY or at sales@harmanbeads.com and we will be happy to assist you. All of these different Swarovski Hot Fix products have different application protocols (time-pressure-temperature-application side). Recommendations for each of these different types of products are included in the Hot Fix Section of the Swarovski Application Manual beginning on page 103. Remember, this is a guideline. Test, Test, Test! 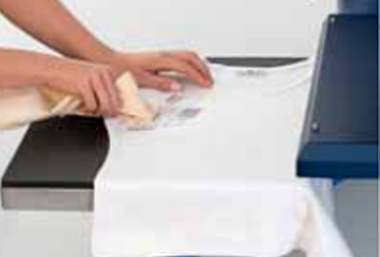 Heat Press: A heat press is the ideal tool for applying Hot Fix Rhinestones because it allows the user to easily and accurately define the pressure and temperature. 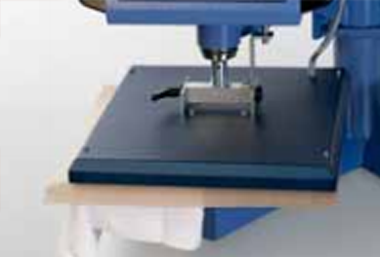 In many cases it also allows for an easy, flat, regulated surface to apply the rhinestones. 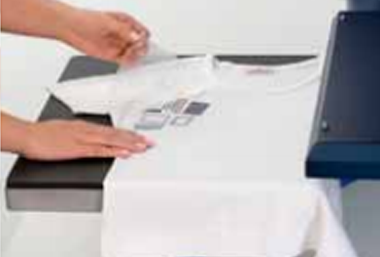 A heat press can be useful for small and large manufacturers, as they come in multiple sizes, with a range of features and price points. 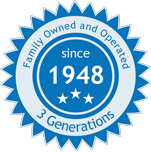 *We recommend STAHLS as a resource to purchase a Hot Fix machine. 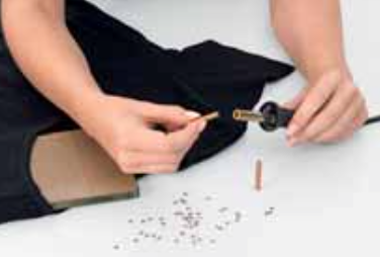 BeJeweler: The Bejeweler is a cost effective way to apply a limited number of Hot Fix Rhinestones. 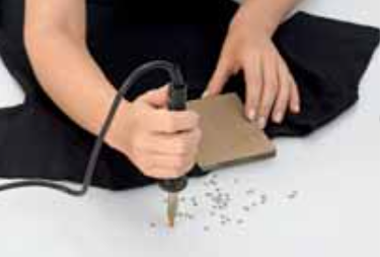 It is a hand tool that allows the user to pick up, heat up and apply individual Hot Fix stones to materials. This tool is great for small jobs or for application to products that would not work in a Hot Fix machine or under an iron – (eg .items containing metal or items that are not flat). Iron: While, an iron can technically be used to apply Hot Fix Rhinestones, the inability to regulate the temperature and the pressure well does not make it an ideal choice. We find that it is also hard to keep Hot Fix products flat and steady. The short answer is yes. You can add glue to a Hot Fix Rhinestone. But why would you want to? First of all, the bond between the glue you are adhering and the glue already on the back of the stone is not as strong as if you applied glue directly to foiling or if you just added glue to the back of a no Hot Fix stone. So, it may not adhere as strongly as it otherwise would. Secondly, Hot Fix stones are more expensive than no Hot Fix stones. So you would be paying more for Hot Fix stones and then also paying for the glue to apply. It is best to first determine which type of rhinestone is best for your design!